It’s time to spread some cheer! We are so excited to share this gift wrap tutorial video with you today, plus, see below for a few tips and tricks for creating a flawlessly wrapped package for the holidays. And, hey! Our gift wrap isn’t just for every day gifting. Jazz up your packages for the holidays or a special New Year hostess gift. Thank goodness for 2017! Also, don’t forget to download your free instructions to create your own Origami Tree ornaments (as seen in the video), here. When wrapping a box, use double-sided tape, placed flush to the edge of the paper for a clean finish, when you fold over and secure. Grosgrain ribbon is the prettiest (pink), but silk is the easiest to tie (teal). Get creative! Grab a few candy canes and tie them on or wrap your gift in a tea towel. Make it special for your friends and loved ones. Enjoy! 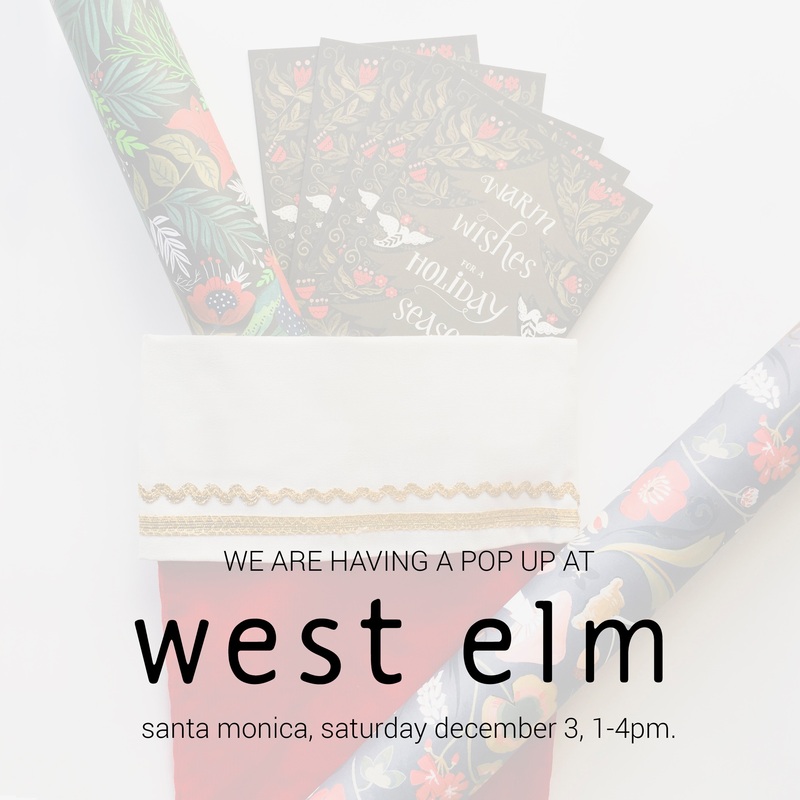 And…if you’re going to be in our area this weekend, don’t forget to stop by West Elm and visit us at our Pop-Up shop. We will have special deals and funsies for all of the folks on your list. It’s rare that we do this, so come say hi and pick up some goodies for the holidays! All of our products will be discounted and a portion of the profit will be donated to a local school here in Los Angeles. Three cheers to West Elm for all of their continued support! Stop by on Saturday the 3rd from 1-4pm in Santa Monica.